Oh the irony of testing a device that can give an instant display of your bike (or car) battery, while letting my own KTM 1050 get so low that I have to jump start it from my car. 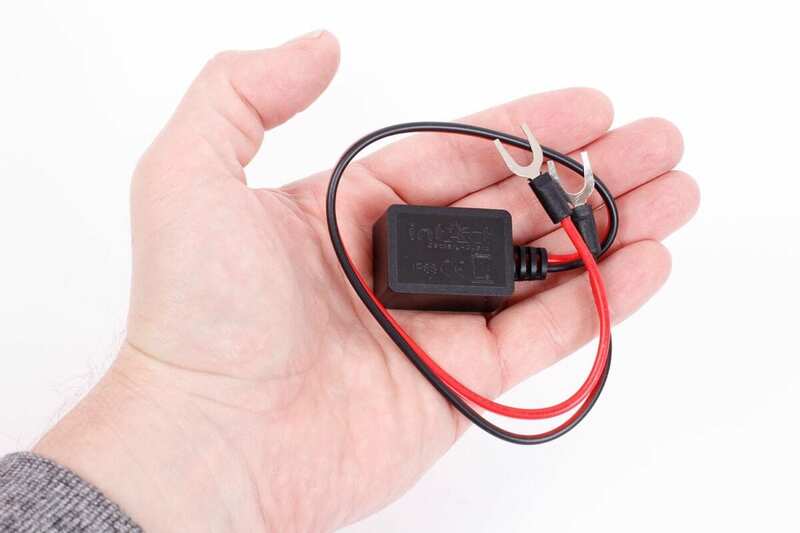 The Battery Guard is a very small and light unit that simply attaches directly to your 6V, 12V or 24V battery, drawing (by my tests, not manufacturer’s claims) around just 1.3mA. 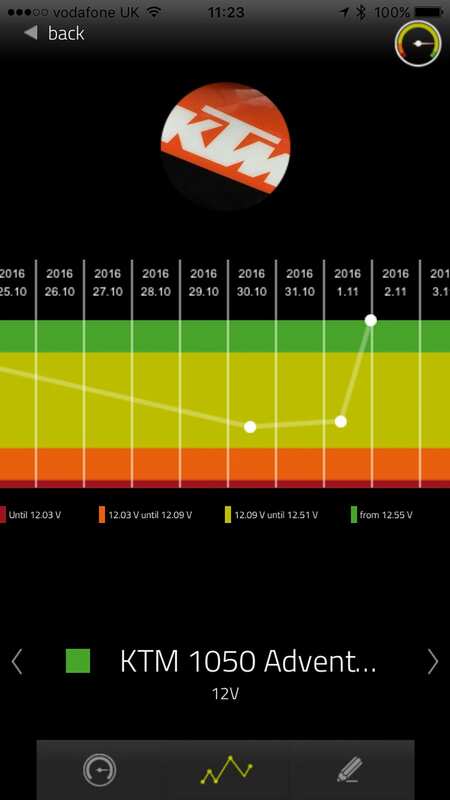 By downloading a free app to your iOS, Android or Windows 10 phone / tablet, you can quickly connect and check the current Voltage, as well as a graph of the recent readings. This is particularly useful if you have an alarm or tracker fitted, as it’s a cheap, simple way of keeping an eye on the battery of a vehicle that’s not being used regularly. 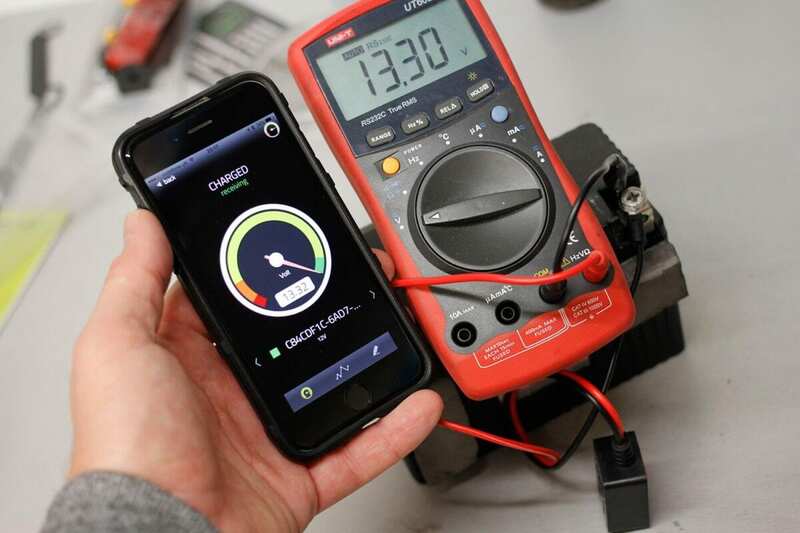 The app can keep track of up to ten units (a paid app can track up to 100), and is very simple to use, making it a very worthwhile addition for machines not permanently attached to a charger.